Digital prototyping is a popular activity for creating simple interface mockups. The UI design process starts with an idea which is then fleshed out into a mockup. But most of the time the initial mockup(s) will be styled in low-fidelity wireframes which are then improved through color and texture. The following mobile apps are perfect for any designer who wants to create low-fidelity prototypes while on-the-go. These prototyping applications go hand-in-hand with flowcharts and mind mapping apps which can also be used in a similar fashion. The importance of prototyping cannot be overstated and it is definitely a skill worth learning. 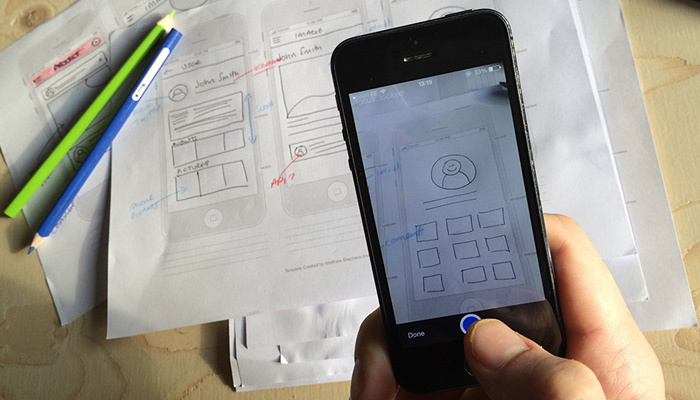 Prototyping on Paper is easily the most popular mobile app for digital prototyping. It requires that you first sketch a sample interface on a piece of paper, then take a photo. This photo will be imported into the app which can then create a sample wireframe for each shot. It’s completely free to download for iPhone & iPad, Android, or even from the Windows Store. Most reviews are exceptionally positive as many designers prefer to use POP as their mobile prototyping software. Best of all these prototypes can be sent to your desktop or laptop for further review. It’s easy to update icons or elements on the page without much of a hassle. Prototyping on Paper may not be a great solution for those who want something 100% digital – but it is by far the most useful when it comes to high-quality prototyping. In the past we’ve gathered Android apps for designers targeted specifically towards digital design. Mocking Pal is another great example which should be added to your list. 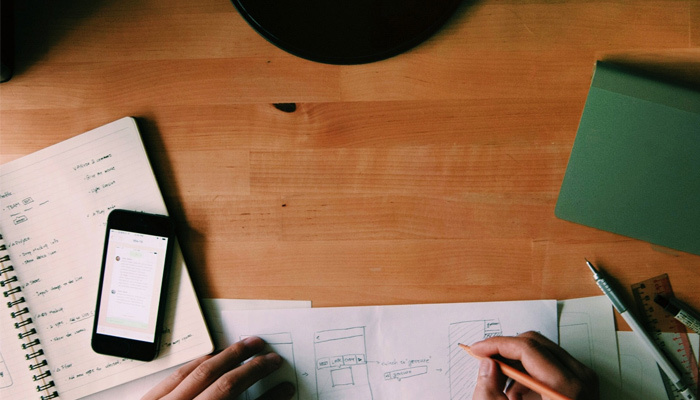 This mobile app allows designers to craft wireframes for either website layouts or smartphone applications. Each project can hold many different pages so it’s easy to create multiple views in a hurry. It’s even possible to include animation transitions for buttons and links. 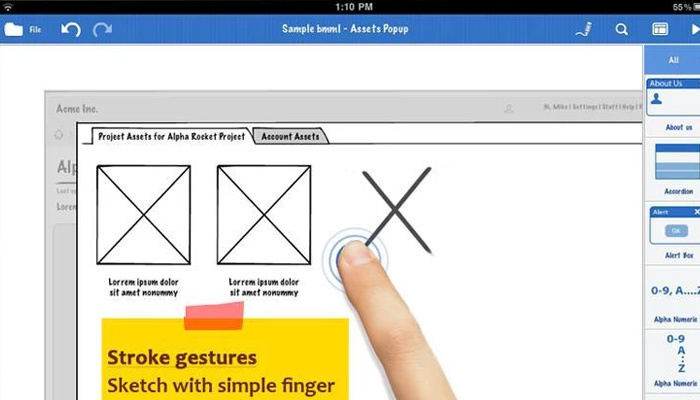 Although it is only for Android, Mocking Pal a fantastic wireframing tool for designers. Those who are familiar with digital wireframing should know about Balsamiq Mockups. They have some great software which allows designers to create wireframes using a library of assorted elements. 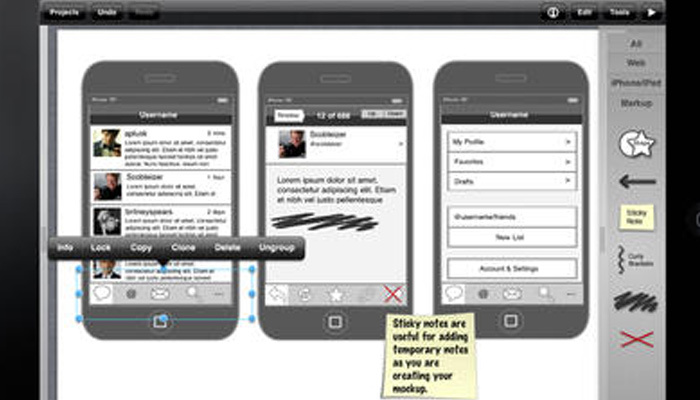 Mockups.me is a mobile app which allows users to import their Balsamiq mockups and design them on smart devices. 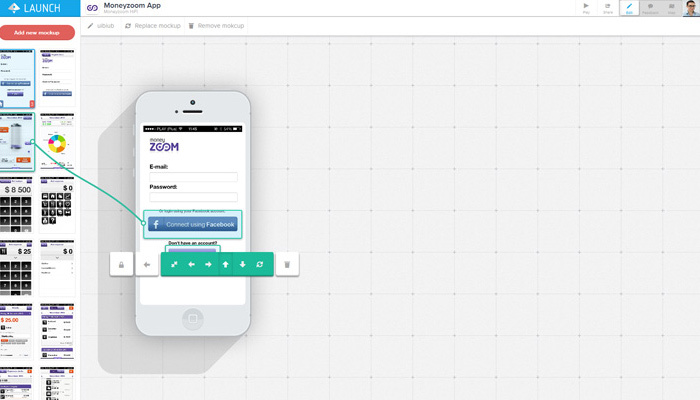 There’s also functionality to preview live wireframes right on the device to show clients or project managers. You can find Mockups.me on Android and the iOS App Store with both a free and premium version. Marvel is another business-oriented wireframing application which is beloved all throughout the design industry. It has every major feature you could ever want including a web editor and live preview feature. The Marvel mobile app can be found on iOS and Android with all of the same features. You first sketch an idea and take a photo with Marvel. This sketch will be converted into a fully-functioning digital wireframe. Different pages can be linked together instantly with seamless animation effects. Another well-known prototyping tool named Prott has become a favorite among designers. It functions very much like Marvel where you first sketch a very simple wireframe and take a photo. Then it will be imported into Prott and converted to a digital wireframe. Best of all this wireframe can be shared among all devices including desktop and laptop computers. Prott can be downloaded for free off the iOS App Store and the Microsoft App Store. If you’re more of a tablet user then take a look at iMockups for iPad. This is a paid application which costs $6.99 and only runs on iPads. But the GUI is simply resplendent featuring an enormous amount of controls, dropdowns, and menus. Granted there are other alternatives out there which might be better for professional teams. But if you’re just a freelance designer or someone who’s testing the waters of prototyping tools then iMockups could be a great fit. 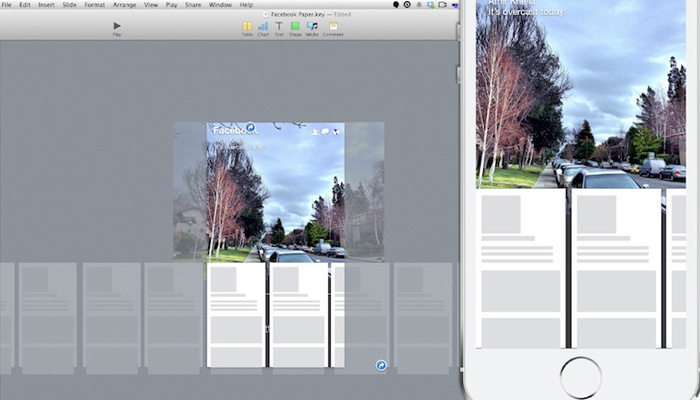 The original Origami app was created for prototyping on Mac OS X. This app can convert a simple prototype into a functioning interface with sample code snippets for developers. Now enter Origami Live which was also created by the Facebook dev team. Origami Live is only for iOS devices and it brings all the same functionality from the desktop to your mobile device. 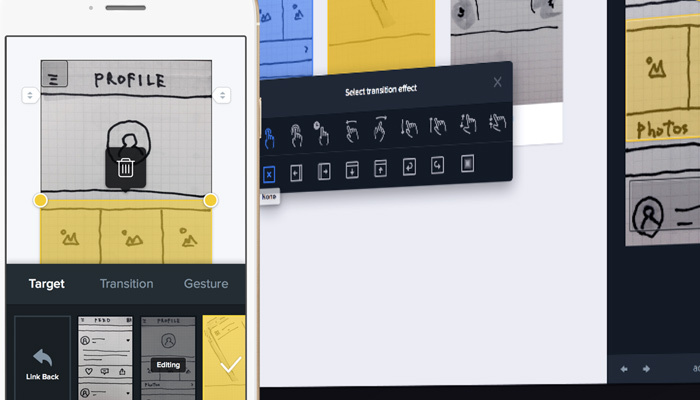 It supports high-fidelity wireframes, animations, and even the traditional export feature. It won’t always be able to bring your idea from concept to full completion but it can get you within distance of the finish line. 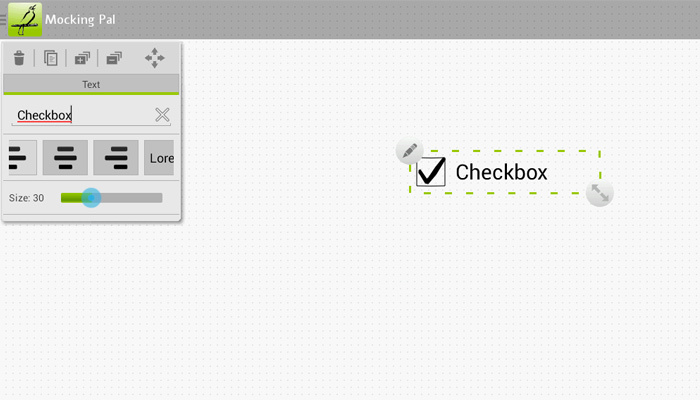 A somewhat unknown contender in this field is mockupCreator for Android. It’s more of a mobile app prototyping tool as opposed to a website prototyper, but web themes are coming soon. Currently it supports Android app UIs, iOS app UIs, and Windows Mobile app UIs. The interface is super easy to use and it has all the default features you would expect. It can feel a little strange to build a mobile app prototype using a mobile application – but it does work. Best of all mockupCreator is free and still in active development with plenty of upcoming features on the to-do list. For designers who need support in all departments, Launch is an excellent prototyping solution. You can start building a high-fidelity mockup on the desktop program and switch over to the mobile app(or vice-versa). Prototyping is lightning fast and you’ll find a complete library of pre-rendered elements useful to any interface. Launch can be downloaded for free on the Google Play Market or the iOS App Store. The only downside is that Launch has a trial membership and there is no lifelong free account like with Marvel App. But if you prefer a more detailed solution this could be great for a team of serious designers. 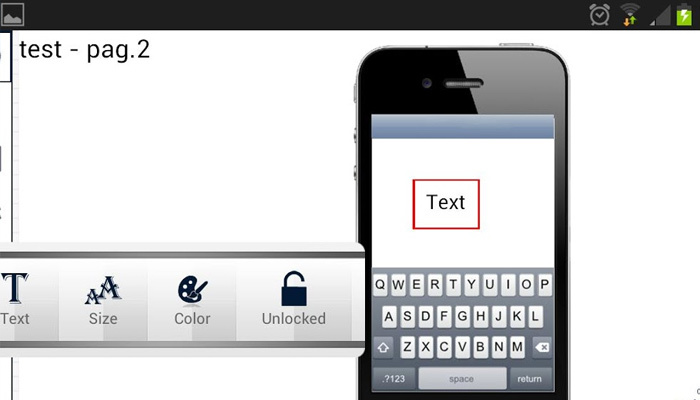 Lastly App.peal app is a very simple and minimalist iOS prototyping app. It runs on iPhone, iPad, and iPod Touch devices with support for retina screens. Appeal was built for entrepreneurs or developers who may not have an incredible volume of knowledge related to interface design. The app is completely free and can be downloaded from the App Store. Appeal can take sketches or can build prototypes from scratch. It’s a versatile application which is completely free and caters to an audience of designers and non-designers alike. Every UI designer should be able to locate something great among these ten mobile prototyping applications. If you’re new to the world of prototyping stick with desktop apps until you’re ready to move onto mobile design. It gets tricker using a smaller screen, but there’s nothing more exciting than prototyping a website in the waiting room or on public transportation.